Instead, the larger percentage of them is more likely to die – simply put – of “old age.” They also have a better chance of dying in their own homes. Well, people who survive their late 90’s and early 100’s without high blood pressure, cancer, stroke, heart failure, diabetes and other aging diseases have one thing in common. They have longer telomeres than their counterparts who are sick and frail. Shorter telomeres, on the other hand, have links to all of the problems I just mentioned. I don’t know about you. But if I’m going to live to 105, 108 or even 110 years, I’m planning on doing it in style. I don’t want to be bedridden, hospitalized or count on anyone else to take care of me. Now, there are a lot of ways to live longer and avoid illness. You already know most of them. Eat right, get plenty of physical activity, so on and so forth. I don’t discount a single one of them. In fact, I encourage you to treat your body like a prized possession. After all, it’s the only one you have. But there is one specific thing you can do that’s not only proven to lengthen your telomeres. 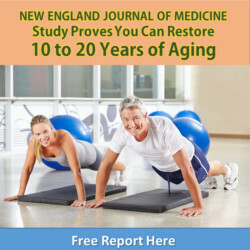 It single-handedly fights almost every ailment associated with aging. I’m talking about consuming plenty of omega-3 fatty acids. You can do this by eating more fish on a regular basis. Or you can take a high quality supplement. It’s not important where these fatty acids come from, as long as it boosts your EPA (eicosapentaenoic acid) and DHA (docosahexaenoic acid) levels. Lengthen your telomeres in as little as four months. Lower inflammatory markers (the leading cause of most age-related disease) by 10 to 12 percent in the same time period. Reduce blood pressure, triglycerides and slow the build up of plaque in your arteries. Drastically cut your chances of a heart attack or sudden cardiac death. Slash your risk of dementia in half, and reduce Alzheimer’s risk by about 40%. Omega-3’s even protect your eyes and ward off age-related macular degeneration. You can get plenty of omega-3’s right at your own dinner table. Salmon, sardines, herring, trout and flounder are all rich in these fats. These fish are also lower in mercury than deepwater fish, so they make good choices. It’s also important to buy wild-caught versus fish that’s been farm-raised. This is why Tilapia, which mostly comes from Chinese fish farms, isn’t great for you. As far as supplementation is concerned, I suggest investing in a high quality fish oil supplement that’s been molecularly distilled and tested for purity. Aim for at least 1,200 mg of EPA and 800 mg of DHA and take 4,000 mg daily to support and lengthen your telomeres. Don’t wait! Getting more omega-3’s in your body is the best thing you can do for your telomeres, your health and your chances of hitting your 100s in perfect form. Catherine J. et al. Place and Cause of Death in Centenarians: A Population-Based Observational Study in England, 2001 to 2010. PLoS Med. 2014 Jun; 11(6): e1001653. Terry DF, et al. 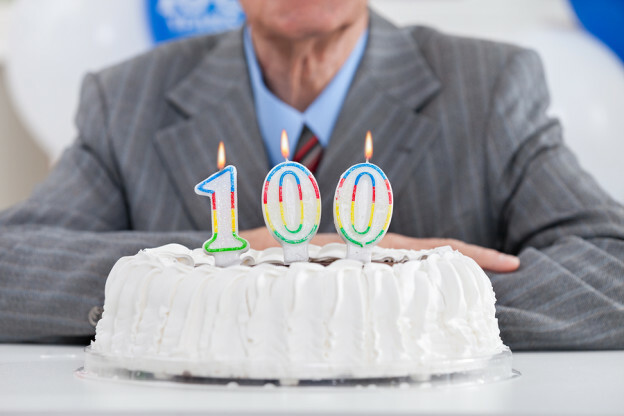 Association of longer telomeres with better health in centenarians. J Gerontol A Biol Sci Med Sci. 2008 Aug;63(8):809-12. Kiecolt-Glaser JK, et al. Omega-3 fatty acids, oxidative stress, and leukocyte telomere length: A randomized controlled trial. Brain Behav Immun. 2012 Sep 23. pii: S0889-1591(12)00431-X. Maroon JC, et al. Omega-3 fatty acids (fish oil) as an anti-inflammatory: an alternative to nonsteroidal anti-inflammatory drugs for discogenic pain.Surg Neurol. 2006 Apr;65(4):326-31. L. Knott, et al. Regulation of osteoarthritis by omega-3 (n-3) polyunsaturated fatty acids in a naturally occurring model of disease.Osteoarthritis and Cartilage, 2011; 19 (9). Have Hollywood Stars Found the Fountain of Youth?